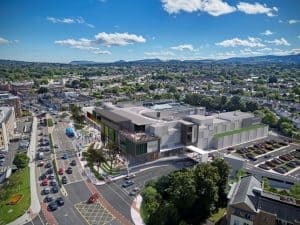 The first phase of the newly refurbished Frascati Centre, in Blackrock, has been completed with Aldi, Vodafone, Five Guys and McDonalds stores now trading in their new locations. Collen Construction are the main contractors for the Frascati Shopping Centre Redevelopment and Extension. The centre, which has continued to trade during its extensive upgrade, is expected to be fully complete by Easter 2019. The refurbishment and extension work has cost over €30m and the total investment in the Frascati Centre will be in excess of €100m. On completion the Frascati Centre will triple its store offering with an extensive food quarter, dedicated health & beauty zone, extensive fashion and footwear stores. It will be anchored by new Aldi store, Debenhams and M&S. The project will lead to an increase in the size of the Frascati Centre from 100,000 sq ft to 170,000 sq ft. Additional planning permission has been secured for three external retail units and planning is in process for 44 apartments on the rooftop. New facilities within the Centre include dedicated family feeding and changing areas, mobility units and free wi-fi. The Centre will be a one-stop shopping destination across food, fashion, household and beauty. 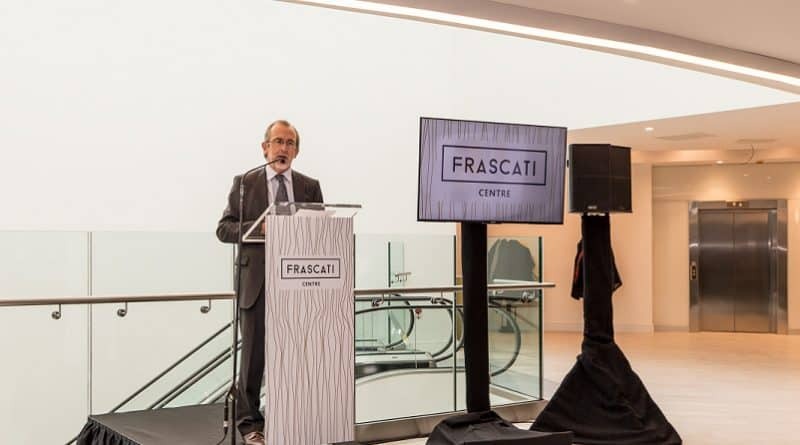 Frascati aims to provide a five-star shopping experience for customers and will assist in the regeneration of Blackrock. Units on the roadside have external access so stores and restaurants will help stimulate the night-time economy of the village. There a number of key retail units still available for leasing which will be supported by extensive marketing both through new internal digitalised systems and social and mainstream media campaigns. CBRE and Cushman and Wakefield are the joint letting agents for Frascati. The Frascati Centre project is being undertaken by Burlington Real Estate on behalf of Invesco Real Estate, a global real estate investment manager.